Everyone agrees that content is king. Few people can create effective content, though. Most entrepreneurs create content without having a strategic plan and precise goals. Then, they wonder why their content doesn’t bring in the desired results. Attract and engage your audience, with the goal of converting website visitors into leads. Promote your business, with the goal of converting leads into customers. 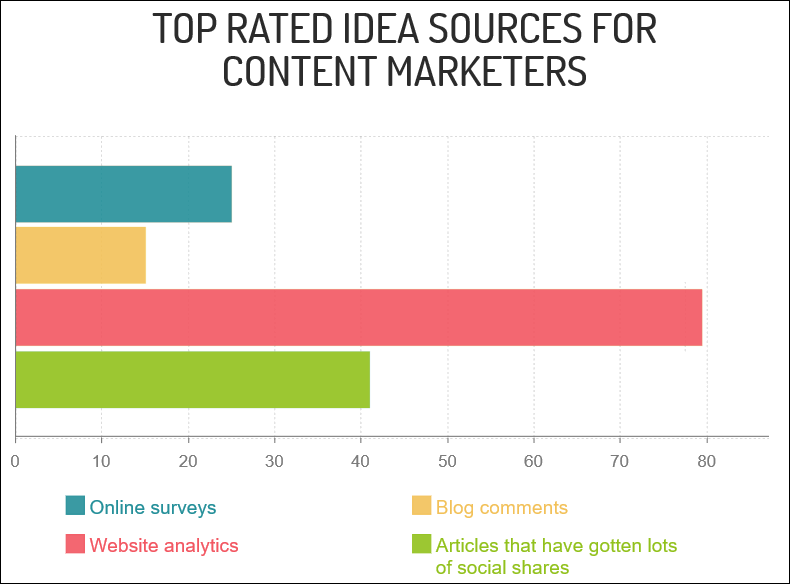 These are the top 3 benefits that arise from using an effective content marketing strategy. Developing an effective content marketing strategy takes time, but the benefits make it a worthwhile investment. As your high-quality content library grows, the number of qualified leads will increase as well. Each new content piece must guide your potential customers to the next stage of their buying journey. Website visitors will learn to trust your company, so when they are ready to buy, your solutions will be a natural choice. People who search the web looking for answers to industry-specific questions will discover that your website shows up in the search results over and over, offering the best information. As your content pieces start dominating the web, people will see you and your company as an industry leader, and this will boost their confidence in your business’ products and services. Unlike traditional advertising (PPC, for example), content marketing shows people that you care about them. You are taking the time to create 100% free, valuable resources for them, and people appreciate that. Each new content piece gives your website the opportunity to rank in Google for several relevant search phrases (aka keywords). E-books and white papers include calls to action that invite people to visit your website and learn more about your business. It’s another effective strategy that boosts website traffic. Useful resources are created, and then uploaded on popular third-party sites (YouTube, SlideShare, etc). These resources include links to your website, funneling targeted visitors to it. Search engines love fresh, valuable content. And when you publish this type of content regularly, the number of website visitors increases, creating a never-ending stream of leads. Your content needs to resonate with the target audience. It should help people solve their most pressing problems, and prompt them to discover your useful solutions. Each new content piece must help your potential customers and align with your business goals. 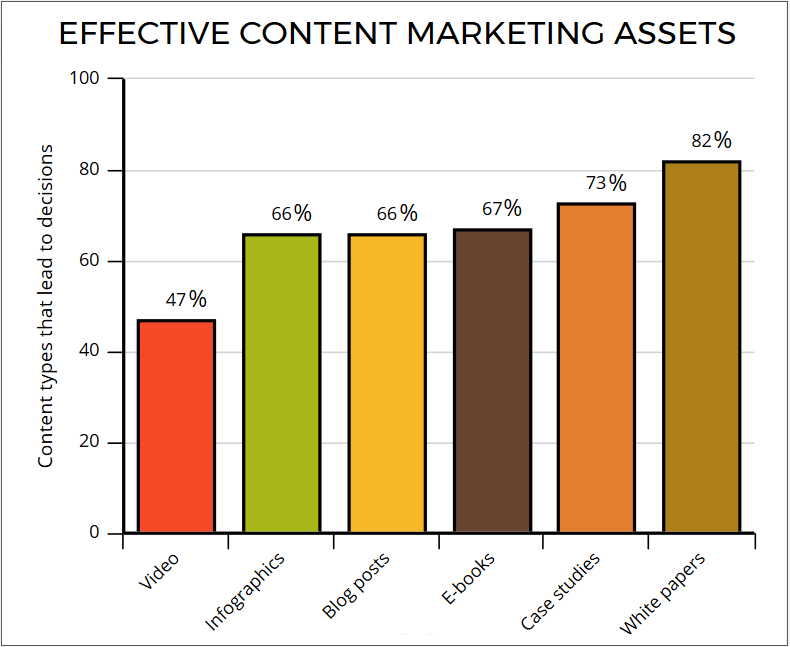 What type of digital assets can be used for an effective content marketing campaign? Here are a few examples: blog posts, infographics, social media posts, case studies, webinars, original research, podcasts, guest posts, newsletters, videos, white papers, e-books, online presentations, software tools, quizzes, apps, etc. 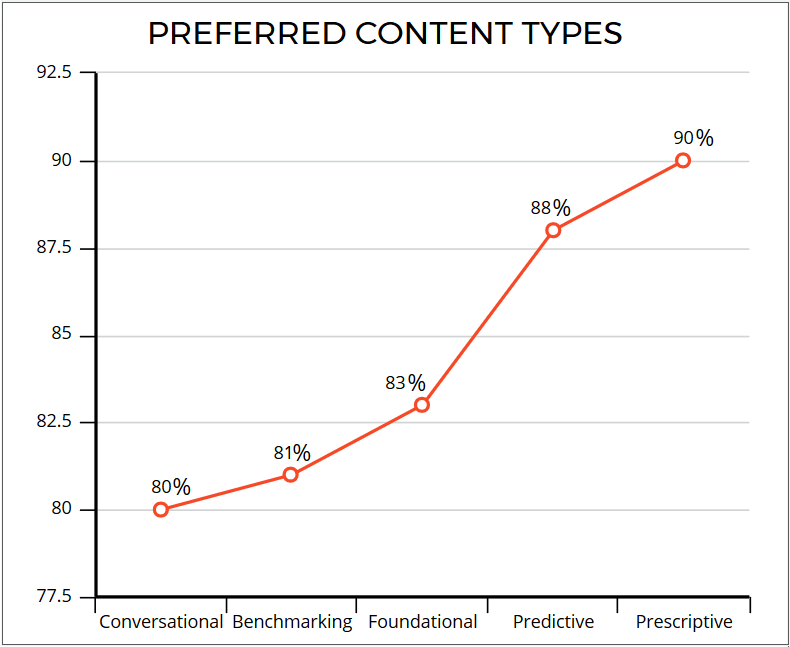 How can you discover the type of content that works best for your audience? Here are a few proven methods. Use online surveys. Then, create content that answers your customers’ questions. If people post comments on your blog posts, use their thoughts and questions as ideas for future articles. A website analytics system will help you determine the most popular website pages. Then, create resources that complement your best performing content. You should also determine the top performing website pages. Identify the ones that help add the biggest number of subscribers to your email list, for example, and then run A/B tests to make them even better. The number of social media shares is a robust content marketing metric as well. It highlights which topics and content types are interesting for your audience. Your metrics must be goal-oriented. So, what primary business goals does your content help achieve? And what metrics can accurately demonstrate that those goals have been met? Let’s explore a few possibilities. 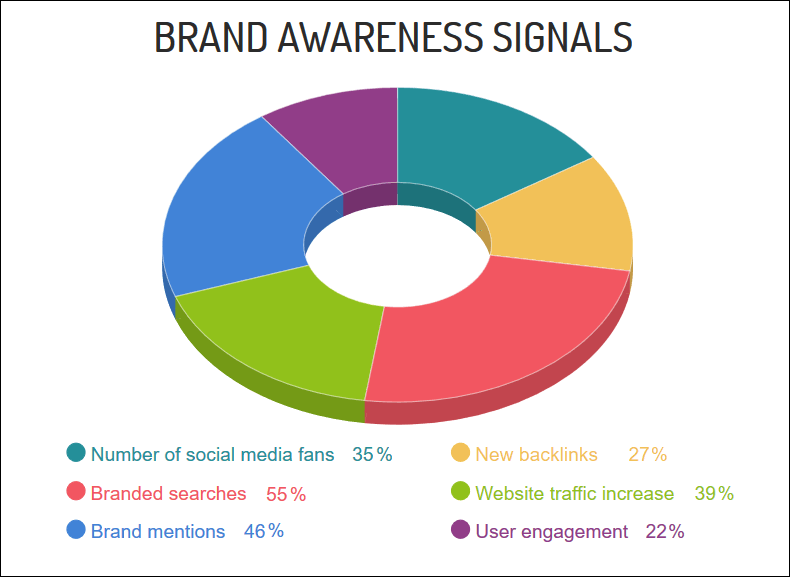 If you want to boost brand awareness, you should monitor website traffic, the number of page views per visitor, dwell time, the number of tweets, likes, shares and comments per article, and so on. If you use content marketing as a lead generation tool, the number of email subscribers or e-book downloads and can be two powerful indicators. If you want to increase sales, you should track the number of conversions. Track the number of people who have become customers at the end of a free trial, for example. 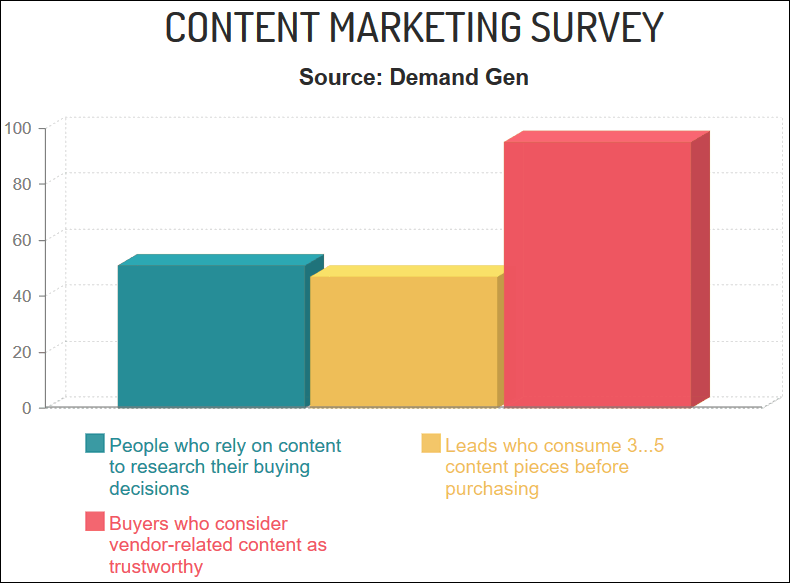 Goal-oriented content marketing campaigns boost brand recognition, website traffic and sales. Contact me and let’s set up a powerful campaign!